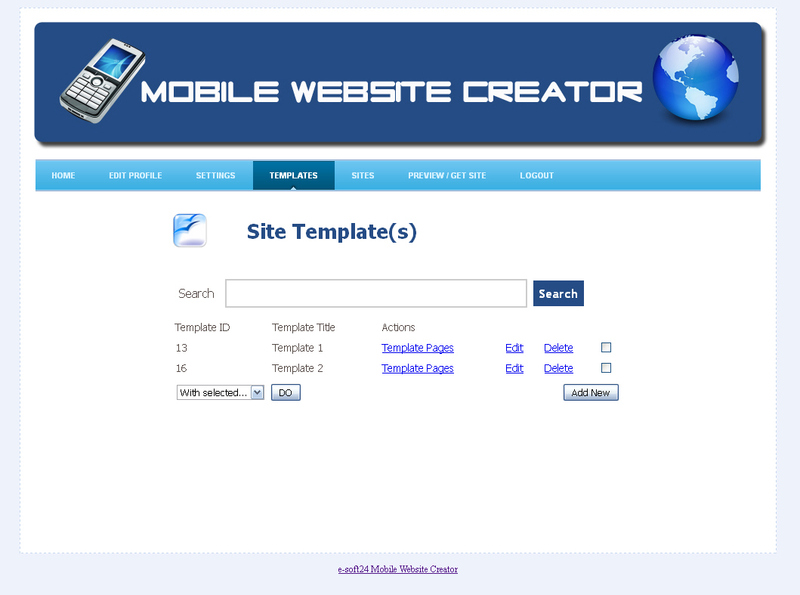 Mobile Website Creator is a php software program that will help you to quickly and easily create mobile websites by using the included templates or you can create any number of templates to build your pages from. These sites will be completely mobile device ready. The total number of mobile devices in the world will soon exceed the number of desktop and laptop computers, so you must be thinking mobile. Creating mobile-friendly content has quickly become a "must have" by those who want to be successful now and in the future. But to hire someone who creates you a mobile friendly website can cost you $1,000 or more depending upon the size and content of your site. And that's for just one site, if you have others then you would have to pay that for each one. The Mobile Website Creator PHP Script can generate mobile-friendly websites quickly and easily for a small fraction of the cost of having someone create just one website for you. And the best: You can use the Mobile Website Creator App for as many sites and pages that you want. The script comes with installation instructions, a manual which describes how to use the software and 22 ready-made mobile website templates. - Use it for as many sites as you want. - Use as many templates as you want. - Customize the GUI of the script to use it another language or change the color of the menu. - Easy and fast installation.